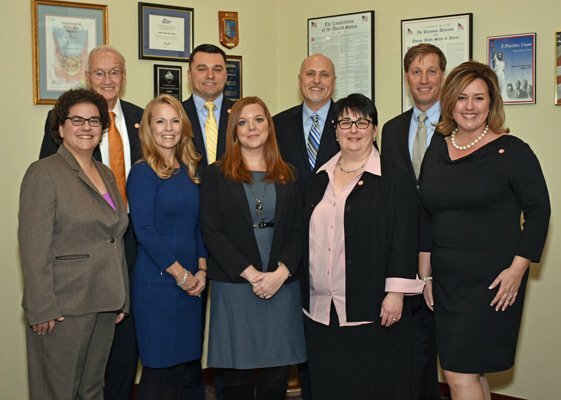 On November 13th, the Loudoun County School Board adopted their legislative agenda for the upcoming General Assembly 2019 session. They took advantage of the resignation of a conservative member, the absence of another conservative member due to a family health emergency, and some sly language to sneak through some policy positions that should concern all of us. Video of the Nov. 13th adoption of this agenda is available here. Repeal of the "Religious Exemption" - this would force homeschoolers to have their curriculum pre-approved by the public schools! More details are in HSLDA's email alert here. Prohibit currently-legal right to self-defense in certain public buildings. Adopt pro-LGBT special treatment for school employees- this is not needed, and would be detrimental to school safety. It is only being done to move school policies in the direction towards even more outrageous policies in the future. Please email the entire School Board, and call your at-large and district school board members today and ask them to reconsider the legislative program. This action would need to be taken at their meeting tomorrow. You can also speak to the school board during the public comments period of their meeting at 6:30 p.m. on November 27 at 21000 Education Court, Ashburn.